As of the moment, the number of millennials in the workplace is on its way to becoming half of the labor force in the Philippines. While employment rates are on the rise, attrition is still a factor to worry about among millennial employees. Millennials, also referred to as Generation Y, are those born between 1980 until the mid-1990s, though expect variance in year brackets from different sources. Regardless of the year of birth, being millennial is more on the predominant characteristics that they possessed, in which include being super-inclined to advancement in technological tools. Unlike the previous generations, the Gen Y’ers grew up alongside with technology. They bear witness to the rise and fall of gadgets and apps, and most importantly, they appreciated their value. When it comes to the workplace, it is only natural for those in the millennial generation to expect to have advancements in their productivity tools, because, for them, technology is the key to getting any work done in an efficient manner and to the success of the company. So when the productivity tools provided by the employers are outdated, Gen Y’ers tend to believe that their full capabilities are undermined and what they could do is downplayed. In a matter of time, motivation plummets and they will be looking elsewhere to where they know they are trusted with the proper tools. Besides the Gen Z’ers, employee attrition is a concern that most employees worry about when hiring millennials. While there are various reasons that might have them look elsewhere, depriving them of the proper tools should not be one of them. In a way, investing in the right software and/or gadgets for the employees give out the message that you believe in their abilities to handle the tools. It also screams out that the company wants them to succeed, in which in turn means the success of the business. Understandably, companies want to save up on expenses, but what most of them do not see is that the productivity tools, when used right, help them reduce on spendings in the long run. It reduces labor hours and errors in any output. Even after deciding to purchase a better productivity tool, companies should not equate the usefulness of a product based on its pricing. An expensive tool does not necessarily mean that it would be useful. Before making that purchase, do some research on the reviews and capabilities of the tool. Better yet, ask millennial employees or experts for their thoughts. Not only does it say that their opinion matters, but they also get a tool that they would actually use. Technology is constantly adapting and innovating to business needs. Being on the lookout for the best next thing is what will keep millennials hooked with the company. Millennials, after all, appreciate innovation in devices and software. 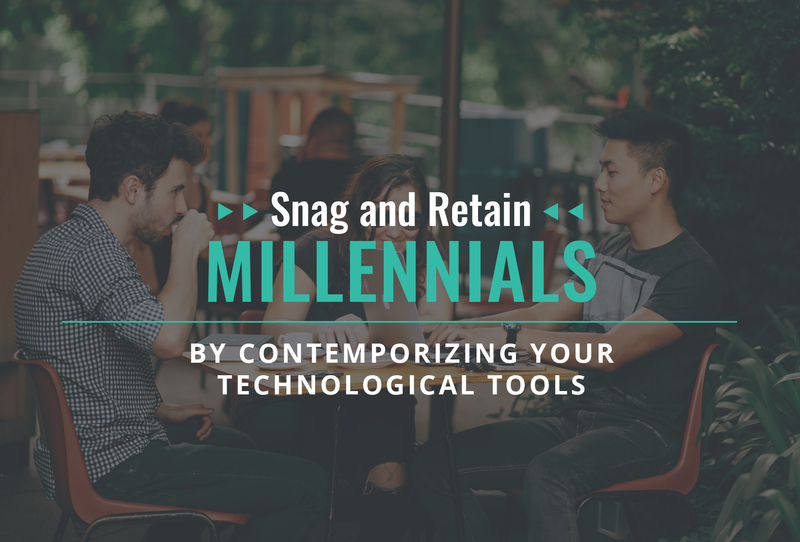 Chances are, the newest tools have features that further boosts the productivity of the millennials, in which again, helps the business to become more successful. For many Gen Y’ers, technology is ingrained to their identity and on how they do their work or the way they run their lives. Millennials want to move forward and advance with technology, and any company that deprives them of it is usually a good enough reason to leave. Getting the right productivity tools for your millennial payroll administrator not only encourages them to work better but also maximizes their potential. Payroll doesn’t have to be complicated… after all, it’s JustPayroll.